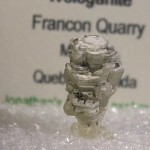 The discovery of the new species Weloganite in 1966 by Ann P. Sabina of the Geological Survey of Canada propelled the Francon quarry into the ranks of world-famous mineral localities. 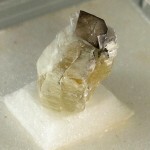 Remarkably for a new species, Weloganite was found as large – up to 6 cm in size – collector-quality crystals. 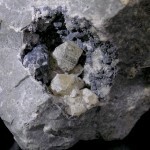 Moreover, the quarry is the type or co-type locality for nine other species: Doyleite, Dresserite, Franconite, Hochelagaite, Hydrodresserite, Montroyalite, Sabinaite, Strontiodresserite, and Voggite. 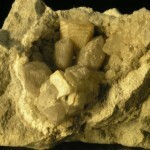 The quarry has also yielded some of the largest known crystals of Dawsonite, and notable specimens of Barite, Celestine, Cryolite, Dachiardite-Na and Strontianite. 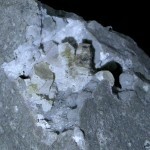 In total, ninety species have been recorded from the quarry. 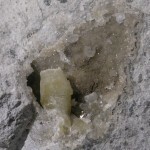 With the exception of Voggite, the type or co-type species all occur in metasomatized, agpaitic phonolite sills, known as the Saint-Michel sills, which intrude Ordovician-age limestone. The sills are Cretaceous in age, and form part of the Monteregian Hills alkaline rock province. 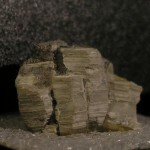 The sill rock is notable for its high content of Dawsonite as a rock-forming mineral. 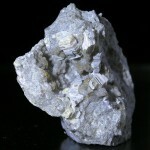 The primary source of the many rare and unusual minerals are the so-called upper and lower sills. 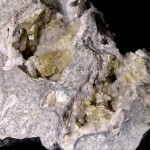 These are 1 to 2 meters thick and contain numerous mineralized cavities ranging to about 15 centimeters across. 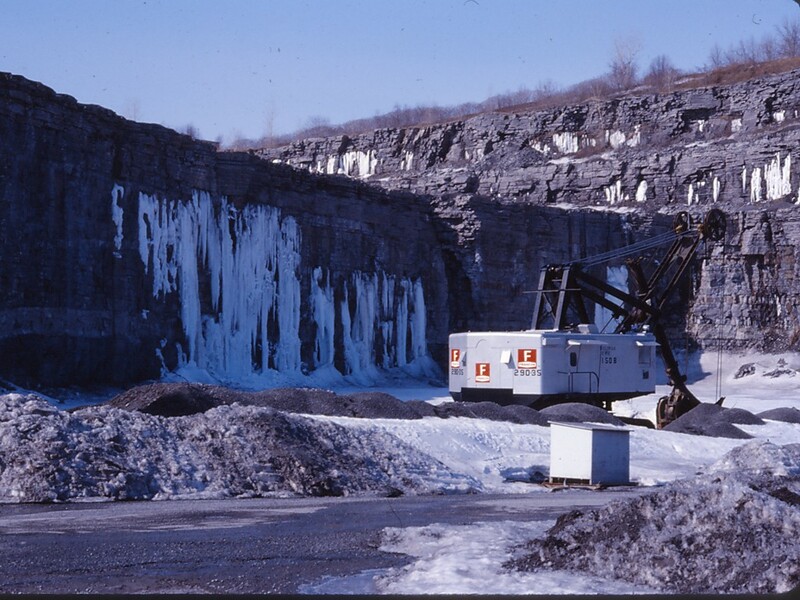 Unfortunately for the mineral community, the quarry ceased operations in 1985 and is no longer open to collectors. 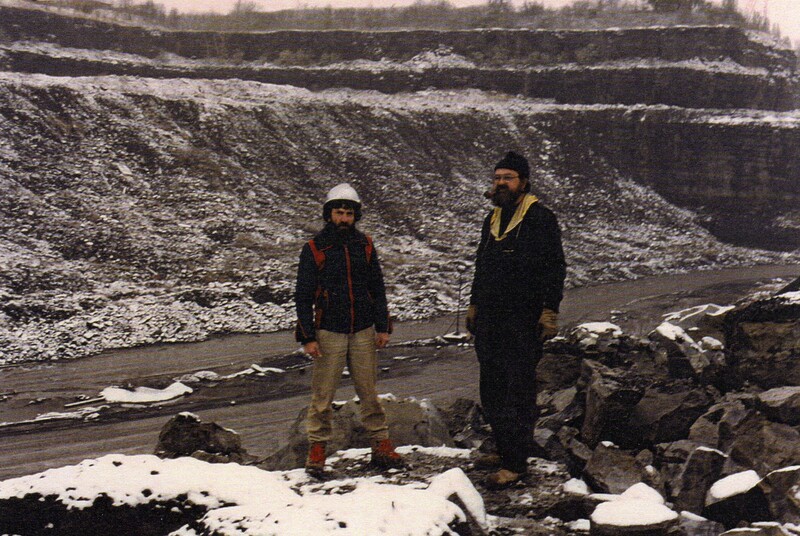 However I was fortunate to make a special arrangement with the city of Montreal and visit the quarry several times since.